Homes like this come around once in a decade.Located in the center of town in Grandview. More than a 1/2 acre of land and 5+ car garage makes this home perfect for mechanics, handymen,car collectors,or anyone needing a shop. Huge back yard with beautiful treed lot.Full basement with Rec room,4th non-conforming bedroom and full bath. Great access to all of life's necessities.Make this home your own TODAY, or wait a long long time for another one like it!HURRY IN! Grandview is located in Missouri. Grandview, Missouri 64030 has a population of 25,256. The median household income in Grandview, Missouri 64030 is $41,559. The median household income for the surrounding county is $46,917 compared to the national median of $53,482. The median age of people living in Grandview 64030 is 33.5 years. 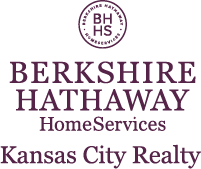 I am interested in 12709 12th Street, Grandview, MO 64030.